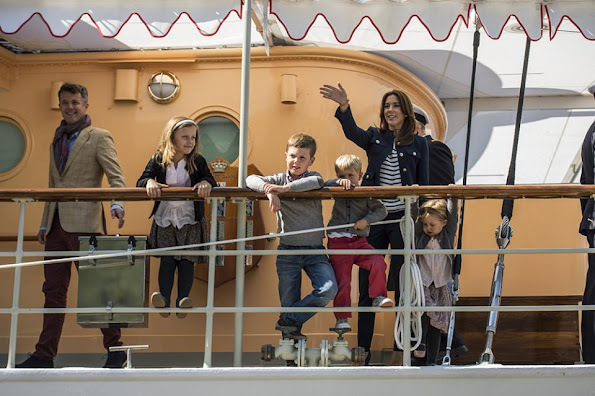 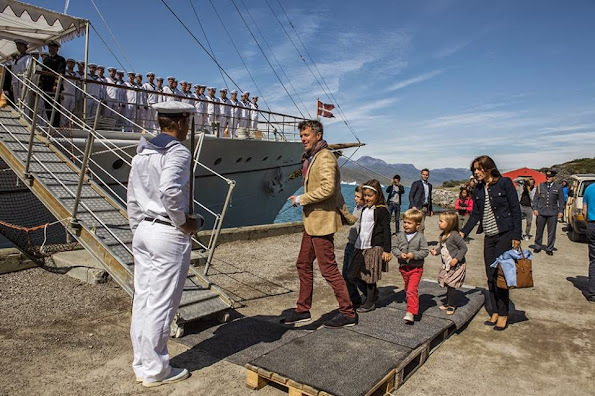 Yesterday: Crown Prince Frederik and Crown Princess Mary with their four children Prince Vincent, Princess Josephine, Princess Isabella, and Prince Christian boarded the royal yacht Dannebrog. 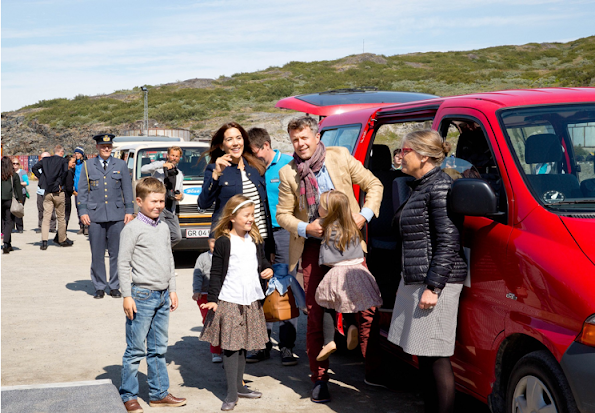 The family today begins an official visit of eight days in Greenland. A wonderful holiday for a very affectionate family .